This is the final newsletter of the year and it contains some very important information with regard to the start of the new academic year in January 2016. As a school community, we would like to wish Mrs Potgieter well for the future and we thank her for substituting for Mrs Nass whilst she was on maternity leave. The start of the new school year for 2016 will be on Wednesday, 13 January 2016. The school day will begin at 7:30 each day and end at 14:10 Monday to Friday. Buses will leave each Monday, Tuesday, Wednesday and Thursday at 16:10 and on Fridays at 14:20. Sport practices will begin on Monday, 18 January 2016 andwill end at 16:00 on a Monday, Tuesday, Wednesday and Thursday. All parents, especially our new parents, are invited to attend an information evening on Tuesday, 26 January 2016 at 18:00 in our School Hall. After the address in the Hall, parents will go to their child’s classroom to be informed about the expectations for the year. ALL hostel pupils must arrive at hostel dressed in full school uniform at 16:00 on Tuesday, 12 January 2016. ALL hostel fees must be paid on or before the day of your child’s entry into the hostel. No child will be allowed to stay at the hostel without proof of payment being presented on the day. Each family will receive one copy of the magazine, early in the new year. Learners who have been promoted to Grade 11 and 12 for 2016 are advised that subject changes need to be effected by 20 January 2016 and only one subject change for Grade 12 and two for Grade 11 are allowed by the Department of Education. A letter from the learner as well as a letter from the parent needs to accompany this request. Grade 10 for 2016 – these subject changes also need to be made by 20 January 2016 and will be effected internally. A letter from the parent is required for this. Applications need to be made by 20 January 2016. Forms are available from the front office and must include a Scholastic Assessment not older than 3 years. Please note learners need to reapply every academic year. * Please ensure that your child returns to school next year with their own natural coloured hair in a neat style. No extensions may be worn. Own hair may be braided. * Our school tracksuit forms part of our winter uniform and tracksuit pants may not be worn without the tracksuit top. * Boxers may not be worn to school at all. * Official Lilyfontein socks must be worn with ‘mid-week’ uniform. * Only predominantly white tackies with a navy trim are allowed. Please note that our school shop will open on Monday and Tuesday, 11&12 January from 08:00 – 09:00 and then each Monday to Thursday from 7:30 – 8:00. Reminder – PLEASE confirm your book order at African Book Connection as a matter of urgency. As parents, we need to ensure that our children are properly equipped for the start of the new academic year. We would like to take this opportunity of thanking the PTA Committee for all their hard and dedicated work during the past year. Please note that there will be a PTA meeting early in the new term (date to be confirmed in the new year) where a new PTA Committee will be elected. It will be great to welcome ‘new blood’ onto this Committee. All interested parents are welcome to attend. Please note that individual music lessons (piano/guitar/recorder) will start on Monday, 18 January. If your child is starting recorder / guitar lessons, please ensure that they have the instrument and files as requested. Senior Leaders Induction - will be held on Friday, 15 January 2016 at 09:10. . Junior Leaders Induction - will be held on Friday, 5 February 2016. Junior Leaders Camp will be held from Friday, 29 January to Saturday, 30 January 2016. Invitations to parents will follow. The 2016 Junior Leaders need to be at school on Tuesday, 12 January from 8:30 to 12:00 for an important meeting and duties. They need to be dressed in their informal summer uniform. Middlecourt Trust is very excited to have started the bulk earthworks and construction of the new Hockey fields. The new fields will be below the existing Primary school fields. If all goes according to plan, we hope to have these completed by the start of the second term in 2016. In addition, we have been able to top-dress the Primary school field with topsoil supplied by Andrew Emslie. Middlecourt Trust is very grateful for the project management skills of Sean Price who has assisted with making it all happen on site. In conclusion, I wish to thank our Lilyfontein staff most sincerely for their hard work throughout the past term. 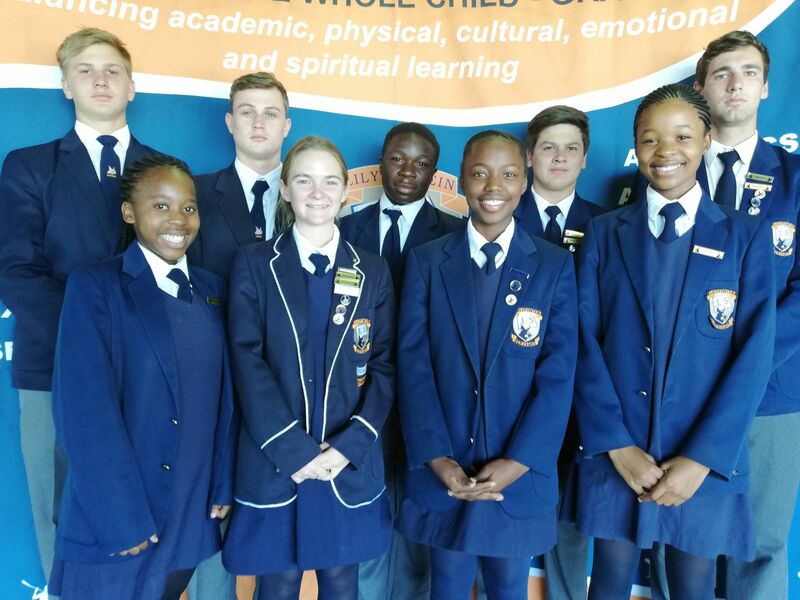 We are truly fortunate to have such a committed team at this school and I would appeal to you as parents to continue to support them during these most challenging times of change, as we try to uphold positive values at Lilyfontein. Good luck to our Matrics on their results which ought to be released early January. We wish you and your families a Merry Christmas and a Happy and Prosperous New Year. For those who are travelling, please travel safely. Enjoy the holidays!